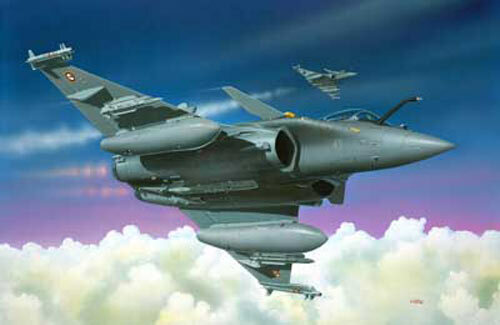 All Products > "04033 Revell 1/144 Dassault Rafale M"
The Dassault Rafale is the best combat plane in the world that can engage in simultaneous ground attack and air defence actions. It reaches a speed of Mach 2. The first production plane of the Rafale M went into service with the French navy in 1999.